The latest toy for your garden, wood or pasture is butterflies and caterpillars. With their two-stage lives, they require a mosaic of habitat, so be prepared to dig in. The directive is straight from the European Union, so we have to put on our best entomological hat. Grassland/pasture/uncut lawn is one larval regime for some species while adults need simply nectar rich flowers which could be in your patch already. Each country of course has different endangered butterflies, so the 29 mentioned here need to be selected. For example (top image), if you're British the rare Marsh Fritillary (Euphydryas aurinia) could be encouraged into your territory. 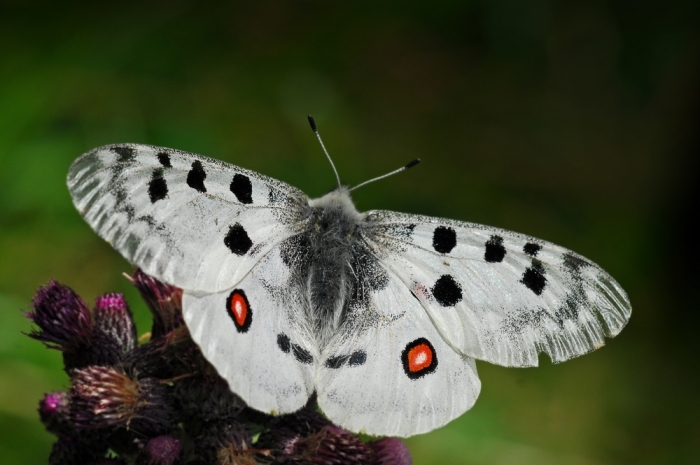 In the Rhone delta it can be common (it's called "Le Damier de la succise" there), but they, for example, would want to conserve the Apollo butterfly (Parnassius apollo), which is endangered in parts of lowland France, though thriving in the high Alps. If you live in Corsica, the Corsican Swallowtail species is plentiful enough, though not protected enough in its French and Italian populations. The British Swallowtail is unmentioned in this paper. It's a rarely-seen variety of the related Papilio machaon. The britannicus sub-species in fact, has always been rare until Wicken Fen in Cambridgeshire opened up as a reserve for it. Now it's still rare, but it survives! 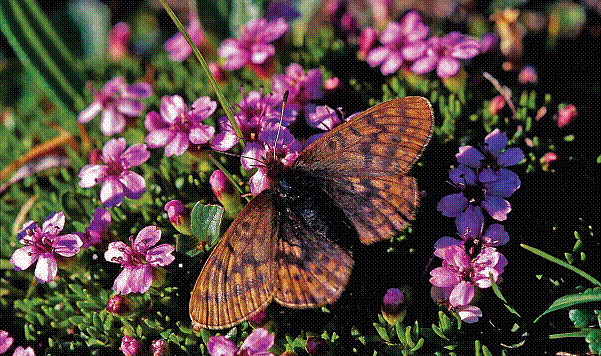 General management techniques are provided by Chris van Swaay of Butterfly Conservation Europe (BCE) in the Netherlands and fourteen co-authors such as Jeremy Thomas of the English Centre for Ecology and Hydrology in Oxford. The paper can be found in Nature Conservation. Active pastoral management, especially over a network of landscapes is recommended for those involved. The old fashioned hay meadow is back! 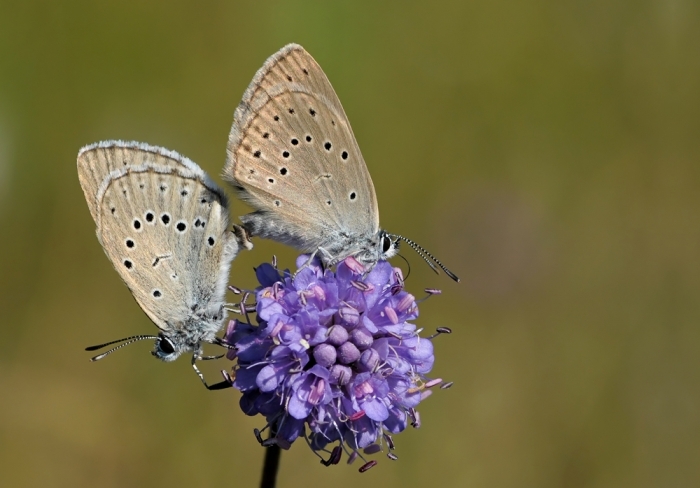 The need is for care with butterflies and other denizens of the deep grass, as cutting all of the meadows in an area at the same time should be avoided. Woodland ideas for encouraging the insects is given and wind-shade advised, as butterflies are badly affected in windy regions. Corridors across the landscape are important for all wildlife but for insects, both in grassland habitats and in the woodland, these provide more of that essential "mosaic." So far Finland have managed to protect all of their colonies, while Sweden haven't. Enjoy your simple butterfly garden or your extensive estate of protected species. Either way, these indicators of better things to come could enhance lives.